Huawei is accelerating digital transformation in the Middle East through the development of 5G technologies, its AI portfolio and smart cities strategy. 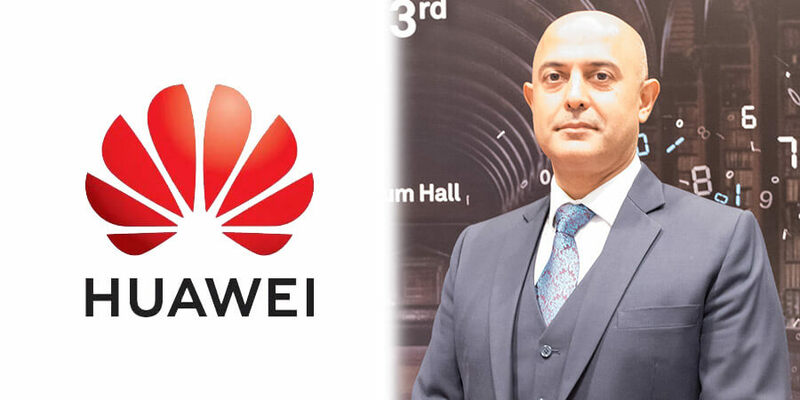 Telecom Review spoke with Safder Nazir, Regional Vice President - Digital Industries Strategy, Huawei during GITEX 2018 to know more about Huawei 5G Ecosystem Conference that was organized in the framework of the Huawei Middle East 3rd Innovation Day. He also highlighted Huawei's contribution at the level of 5G development, AI and smart cities. Huawei held its 5G Ecosystem Conference in the framework of its 3rd Innovation Day in the Middle East. What is the importance of such a conference? The development of 5G requires an ecosystem and not just a regular ecosystem but a very broad one that isn't only limited to the industry and users who will utilize the technology but encompasses also governments, regulators and even other technology providers who need to collaborate to make this a reality. That is why, we are keen to develop that industry ecosystem and provide a platform for people to talk together about their needs and the priorities for the Middle East. During this conference, we had a number of keynotes from Huawei and representatives of several industries including the drone and media industries. We also launched a white paper by Analysys Mayson on 5G in the Middle East. The white paper focuses on the key aspects for the development of 5G within the GCC region. A panel discussion was also organized with panelists representing industry leaders, analysts, solution providers and Huawei to examine how to transform the idea of 5G to real solutions that benefit industries because that is where 5G will be used in the future. As the moderator of the panel, I found it quite interesting to see that there is a growing level of expectation and interest from industries on how to utilize 5G to improve efficiencies, open up new markets and to deliver new digital services. How is Huawei contributing to the development of 5G in the Middle East? Huawei is a global leader in developing the solutions and technologies that will enable 5G deployment. Furthermore, we are working with governments and regulators in the region to not only facilitate some of the discussions but also showcase the latest directions and share the knowledge from across the world. A selection of globally leading countries in 5G development including the USA, China, Japan and South Korea were used to benchmark the GCC region. The results shown in the Analysys Mayson white paper show that the GCC has made a good start in this regard, but a gap remains between this region and the leading countries. However, we believe that the GCC region will be among the first wave of countries adopting 5G. Operators in the region have already made announcements about commercial deployments and we look forward to seeing that expand so that we can all reap the benefits of 5G. In your opinion, how will 5G change the industry? According to the study conducted by Analysys Mayson, digital services will offer a near $280 billion opportunity by 2030. 5G is going to enable an important part of it and will create value for all different players across the industry. 5G will open up a new level of capabilities that weren't available before. We can do a lot with the technology we have today and we'll be able to do a lot more with the technology we'll have soon. Huawei is quite involved in AI technologies. According to your expert opinion, what role will AI have in the Middle East region? How will it impact businesses? During the 3rd Middle East Innovation Day Huawei launched its new AI chipsets and solutions in the Middle East. At Huawei Connect in Shanghai, we announced the company's AI strategy and its all-scenarios full-stack portfolio that enables multiple industries. Huawei's AI technologies can enable and benefit different types of scenarios, so this is why we have a portfolio approach and a full-stack capability within AI. This will accelerate digital transformation in the Middle East. What is Huawei's vision when it comes to Smart Cities, notably for the MENA region? And how is it working on achieving this vision? We look at smart cities as a transformation journey. Every city is on a mission to improve the services it delivers and the livability for the people and for the businesses to invest in it. Our goal is to help the cities and stakeholders to achieve this mission. Technology plays a vital role in this journey. There are things you can do without technology, other things that you can do better with technology and some things are impossible without technology. As a platform provider in terms of AI, Big data and cloud, Huawei has a broad portfolio of capabilities to help the industry and smart cities get to the next level.